It was 1986, and a 21-year-old Sonu Shivdasani was reading for an MA in English Literature at Oxford University when he met his future wife Eva Malmström. 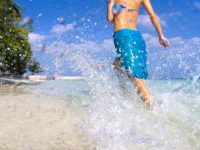 After their initial encounter, the Swedish fashion model introduced her British Indian partner to a patch of paradise in the Indian Ocean that she had visited a few years back on a photo shoot. She told him of the breath-taking natural beauty of the islands. She said they had to go there someday. A year later, the couple arrived in Maldives for winter holidays. They stayed at Nakatchafushi (now Huvafen Fushi Maldives). Like Eva, Sonu was instantly drawn to the natural beauty of the Maldives. “I think we had lived here in a past life. It was definitely a strong affinity to being in the Maldives. We loved the geography,” Sonu recalls his first impressions of the Maldives. 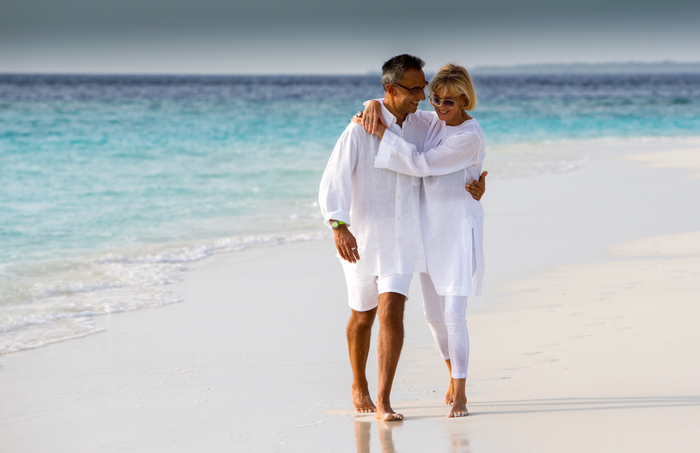 A few years later, Sonu and Eva returned to the Maldives, this time staying at Cocoa Island (now COMO Cocoa Island), which was then operated by German photographer Erik Klemm. But the standards of hospitality offered by the handful of resorts operating at the time were a major turn-off. Coral walls, white tiled floors, plastic chairs, neon lights, salt water in the toilet and shower, and tinned fruits and vegetables didn’t appeal Sonu, son of a well-known Indian merchant and banker. That’s when it occurred to him, why not lease an island and build a house here? In 1988, Sonu approached the government, but was told that an island could only be leased for tourism. It wasn’t something he had thought of. He had no knowledge and experience of building and running a hotel. But Sonu took on the challenge. 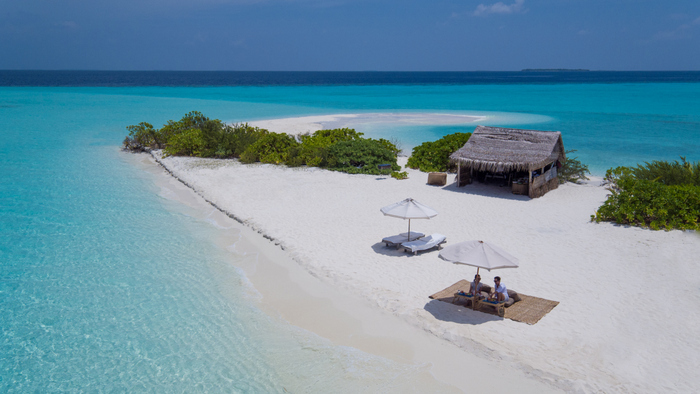 When the government began auctioning off islands in Ari Atoll in the early 1990s, Sonu bid for Athuruga, Thudufushi and Angaga – now three very successful resort islands. But the bids failed largely because Sonu didn’t have a bed contract with a tour operator. “Those days Maldivian tourism was run by German and Italian tour operators. They went to a local who was farming coconuts and said, ‘Will you build a resort for us? We will give a 10-year contract, all-inclusive, a very low fixed price and a three-year deposit to finance the development’,” he explains. Then Sonu had a stroke of luck. 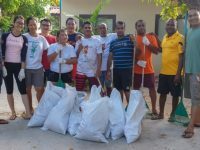 He was introduced to an uninhabited island in Baa atoll that had been abandoned after a failed attempt by local businessman Ahmed Jaleel to operate a resort. After Jaleel offloaded the island, it had passed onto various developers. But no one wanted to develop and run it. Everyone thought the island was, as Sonu put it, jinxed! Even so, Sonu acquired the lease on the island from Veyne Reed, Chairman of Australian travel company Treasure Island Enterprise. And with their family money, Sonu and Eva started building their dream house on the deserted island of Kunfunadhoo. But to keep construction going and to complete the resort, they needed funds. They turned to local banks, but it proved to be a difficult task. “The local banks didn’t believe in luxury tourism. We showed them our numbers; we were projecting an average net rate of 200 dollars per night. We went to the state bank [State Bank of India], and they said it was impossible. Even Kurumba, which was the best resort at the time, was doing 100 dollars per night. They didn’t understand the concept at all,” Sonu shares the initial frustrations he had to deal with. Sonu was once again lucky. He discovered that the Thai government was mandating its banks to lend abroad. And so, he seized the opportunity and approached a Thai bank. Sonu’s proposal was amongst 20 loans – and the most successful of all – given out at the time by the bank’s newly formed division for international lending. “They said, you know nothing about hotels. So, you need a hotel company to manage your hotel,” Sonu says. He began looking around for a suitable management company. He wrote to legendary South African hotelier Sol Kerzner, who was running the Le Saint Géran hotel in the Indian Ocean island nation of Mauritius, as well as Regent Hotels Group, Four Seasons and Taj Hotels. But they – all of them would later come to open luxury resorts in the Maldives – then believed that the Maldives lacked the potential to be a luxury destination. Hilton and Sheraton expressed interest, but Sonu and Eva felt that both the corporate chains were completely opposite of what they had in mind. Finally, Sonu had the opportunity to take an equity stake in a small hotel management company based in Thailand. It would later become known as Six Senses Hotels Resorts Spas. After resolving the issue of funds and management, Sonu now had to take care of the make or break challenge of guest transfer. Jaleel’s resort operation on Kunfunadhoo in the 1970s failed because bad weather often made it impossible for dhonis to travel. Guests from Europe, who took nine-hour flights to reach the Maldives, had to spend four days from their week-long packaged holiday in Male. Transfer issues forced Jaleel’s successors to abandon their plans as well. Resolving transfer issues with helicopters was one of the main reasons behind the initial success of Soneva Fushi. Sonu realised that the only way to resolve the issue was to transport guests by air. Since there was no domestic airport anywhere close to the island, he turned to Hummingbird Helicopters, which was about to close its business after about two years in operation. 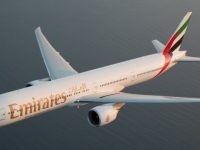 Their use of western-built helicopters with limited seating capacity and high rates didn’t appeal guests who had paid just 500 pounds for a one-week holiday, including international flights. “We decided to take over the business. That was the time when communism collapsed all around the world. So, we went to Bulgaria and hired four helicopters from the Bulgarian state helicopter agency. The western helicopters went and these Russian helicopters came instead. They were better; they had 24 seats and a more solid build. 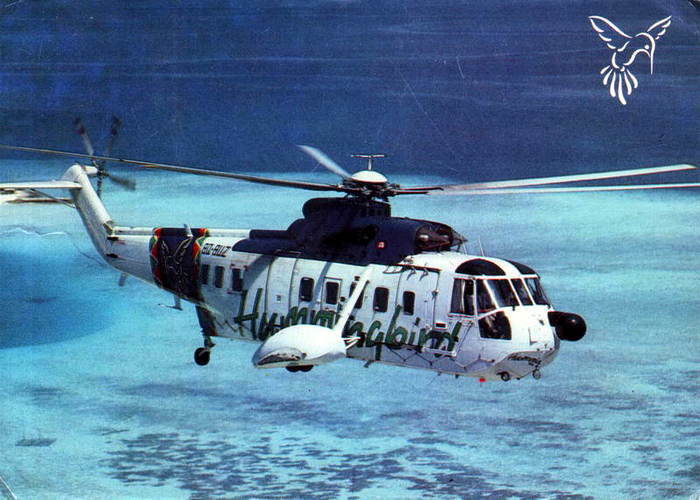 They could carry 50 percent more people, were more suited to an environment like the Maldives and operating costs were dramatically lower,” Sonu says about the helicopter business, which he sold to his brother in 1997. With everything in place, Sonu and Eva finished building their island home and opened it to visitors in 1995. Soneva Fushi became the first ‘castaway’ resort in the Maldives, pioneering a trend for back-to-nature luxury holidays – an experience Sonu calls ‘intelligent luxury’. The couple’s intensely personal vision of a locally crafted villa and environmentally responsible lifestyle challenged the long-held view of what luxury is. “Luxury is a word that’s so often misused and misrepresented. When it comes to luxury, people often talk about marbles or golden gates and chandeliers. But luxury is not about objects. It’s a concept; a philosophy. Luxury is all about that which is rare, that which you don’t get every day, that which is new but is still true. It’s got to strike a chord in your heart,” Sonu explains. For Sonu, luxury is packing for one’s own self; snorkelling gear, books and videos instead of suitcases full of suites, ties and dinner jackets to impress those they meet during their stay. It’s being able to walk barefoot, taking a shower and seeing the full moon, looking at the stars with the largest telescope in the Indian Ocean, watching a movie at Cinema Paradiso where the stars are in the sky as much as they are on the screen, eating a fresh salad from the garden, or the restaurant being just a natural sandbank. “Those are things however wealthy you are, you can’t do or get in an urban environment. That’s what becomes luxury,” he says. With its “no news, no shoes” slogan and authentic experiences that disconnect guests from the noisy world out there and reconnect them with nature, Soneva Fushi became an instant hit. 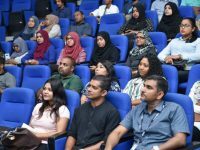 It sent shockwaves through the hospitality industry, and kick-started a wave of new developments that transformed the Maldives from a three-star diving destination to the ultra-luxury island paradise that it is today. And Sonu, from being called “stupid” even by established local developers, became a visionary. “We spoke to a lot of local developers who were involved in mass market offerings and they all thought our concept wouldn’t work. But now they too have upscale offerings. I think it’s kind of a vindication that those who thought it was a joke are now doing luxury developments,” Sonu says. Sonu didn’t just revolutionise Maldives tourism, but he also set an example of how it should be done. 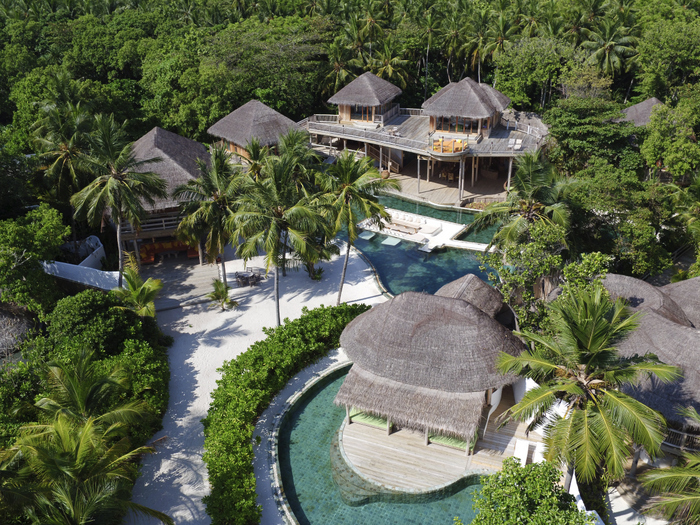 Soneva established a blueprint for barefoot luxury holidays around the world, with several firsts to its name: Maldives’ first integrated waste management centre, first Art and Glass Studio, and first to introduce a two percent carbon levy to offset carbon emissions. With buildings made from ethically-sourced highest quality sustainable materials, home-grown produce used in the kitchens, and comprehensive waste management and recycling programmes, Sonu and Eva has since amassed two decades of knowledge and experience in coining the concepts of SLOW LIFE, which recognises the ability for luxury holidaymaking and care for the environment to co-exist with perfect ease. “Preserving the environment is an ongoing challenge, and I think we need to be very careful about that. The Maldives and its tourism industry exists because of the natural environment. If the corals don’t stay alive, the islands will eventually sink even if the sea level doesn’t rise. That’s what keeps the destination afloat, quite literally,” Sonu explains. Following the success of Soneva Fushi, Sonu began receiving proposals from developers and owners from the world over to manage their hotels and resorts. And just like that, Six Senses – a company formed just to manage Sonu’s own resort – evolved into a multi-million-dollar global hotel empire, which at its peak had 26 resorts and 41 spas across Asia, the Middle East and Europe. 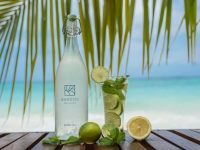 A more economical brand, Evason was also launched to complement Six Senses. In between the exponential global growth and perfecting the experiences at Soneva Fushi, Sonu developed Soneva Gili in the Male atoll as a transit point for guests arriving in the night. Instead of staying in Banyan Tree Vabbinfaru or the Four Seasons Resort Maldives at Kuda Huraa – the only two luxury resorts in Male atoll at the time – Asian guests with night flights could stay at Soneva Gili before taking out a seaplane to Soneva Fushi the following morning. Soneva brand itself also expanded beyond the shores of the Maldives with the opening of the spectacular Soneva Kiri on the unspoilt Thai island of Koh Kood in 2009. But in 2012, Six Senses and Evason were sold to US-based Pegasus Capital for USD 175 million. Soneva Gili (now called Gili Lankanfushi, and managed by Singapore based HPL Hotels and Resorts) was also offloaded after the opening of a domestic airport in Baa atoll opened access to night flights and Male atoll became too crowded with a plethora of new developments. “We wanted to be both the owner and operator of our hotels,” Sonu says. 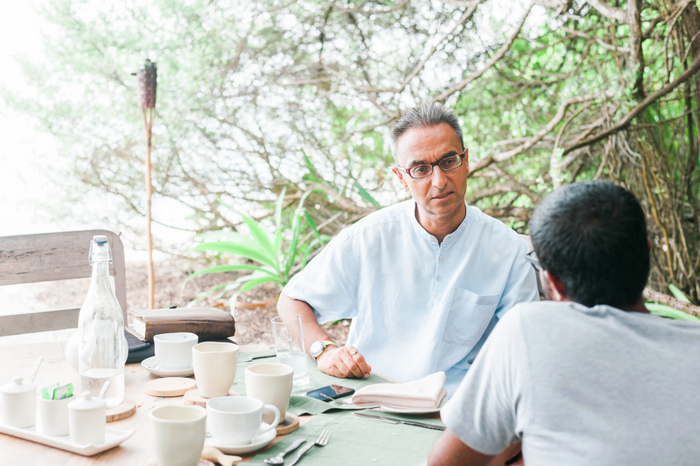 Now focused on the Soneva Group, with its “One Owner, One Operator, One Philosophy, One Brand” strategy, Sonu no longer has to spend all his time at hotel conferences, and meeting investors and developers. This allows him to be creative; to introduce fresh concepts as well as new evolutions to what he is already doing. 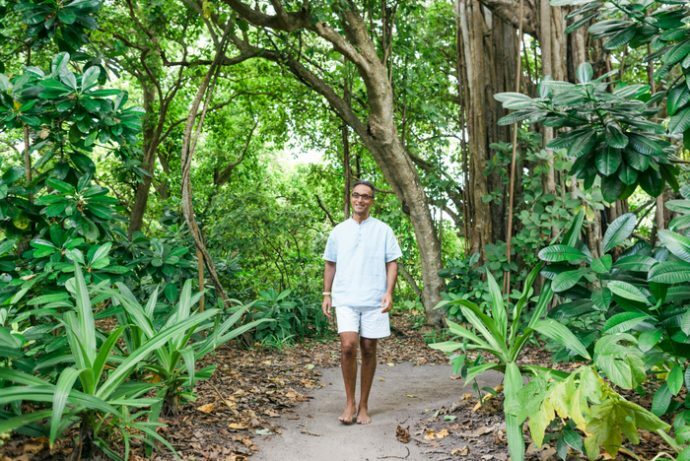 With his newfound freedom, Sonu along with his wife Eva, who serves as the Creative Director of Soneva, is back shaking up the hospitality industry. 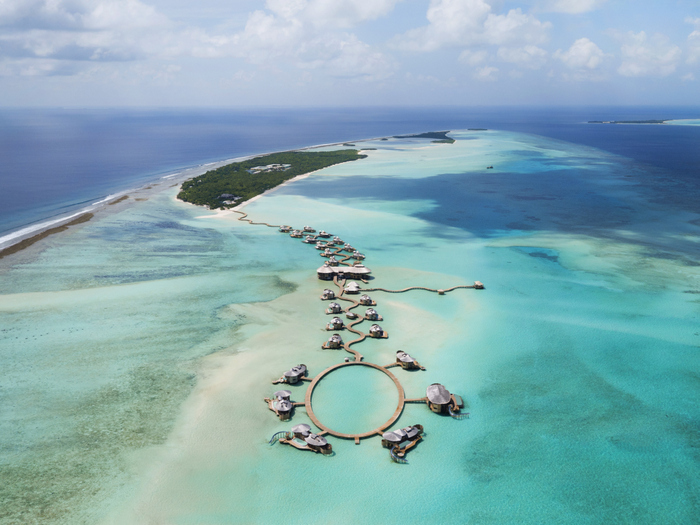 Since the sale of their management companies, they have launched Soneva in Aqua, a luxury cruise, and Soneva Jani in the northern Noonu atoll, a collection of overwater villas situated in a large lagoon and encircled by five islands. Two more concepts that “don’t exist in the Maldives today” will be introduced over the next three years to complement the jungle and beach experience of Soneva Fushi, and the lagoon experience of Soneva Jani. Next is taking the company public and expanding the philosophies of SLOWLIFE and ‘intelligent luxury’ they have perfected in remote locations to an urban environment like London. 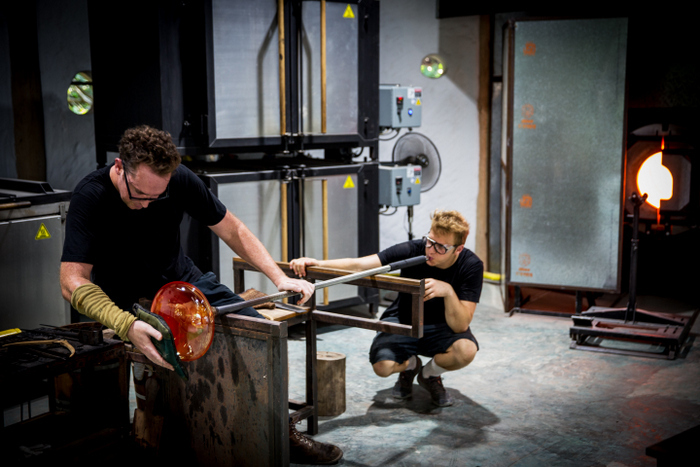 “The idea of continuously improving and being creative, adding value and helping people – all these things keep me going. I can never just stop and stay in one place. I’ve to go backwards or forwards,” Sonu says. Only time will tell which direction he will go. But it sure seems that even after two decades of shaping one-of-a-kind holistic holiday experiences that are inspired by nature – and perhaps by his admiration for the novel of Robinson Crusoe back in university – the literary graduate turned hotelier is unstoppable! 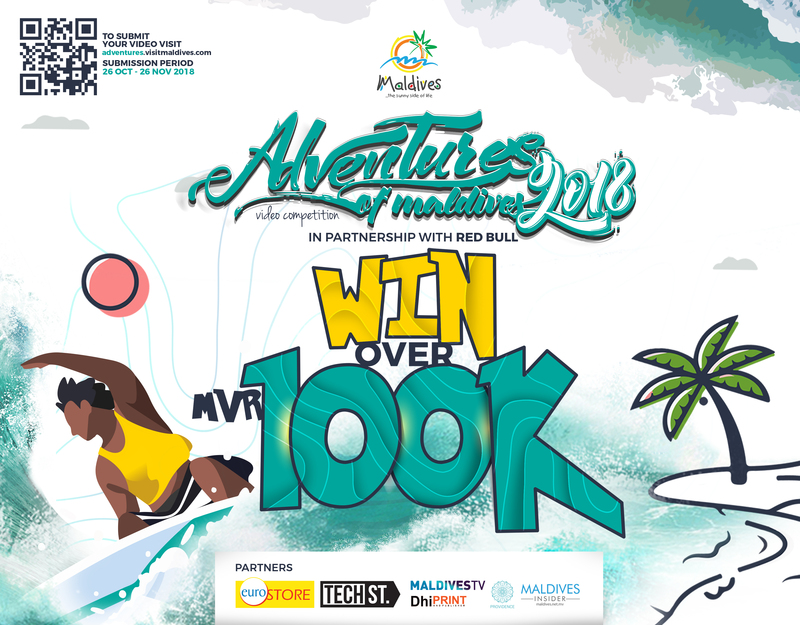 Note: This article originally appeared in the May-June issue of Maldives Insider Travel & Tourism, a bi-monthly travel magazine by Maldives Promotion House. You can read the digital version of the magazine on Issuu.